BT recently revealed, in its regulated accounts it gives to Ofcom, a return on capital last year of 17.9%, up from 14.2%. Ofcom, along with BT’s main rivals, aims to ensure the company does not overtly profit from the telecoms infrastructure it inherited following privatisation. There is a long-running debate over whether Ofcom should force BT to spin off its network division, Openreach, as an independent company. Rivals, Sky, TalkTalk and Vodafone argue BT makes too much profit from the network and does not invest enough. In its defence, BT argued that a significant proportion of the increase in its return on capital was due to Ofcom barring the company from attributing £230m of costs to its regulated businesses. Ofcom has said it will look at further price controls, having allowed BT to make higher returns during the time it has been investing in super fast broadband. Ofcom is encouraging BT’s rivals to build their own broadband networks. 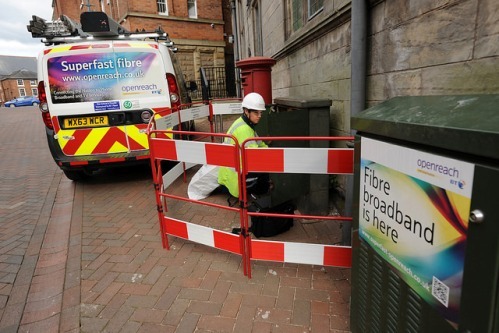 So far, Sky, Vodafone and TalkTalk have not committed major spending to new broadband infrastructure to rival Openreach. They argue an independent Openreach, in which they could all invest, would best serve Britain’s broadband market. Although BT is resisting the plan to reduce control of Openreach, claiming it would affect other investments and cash flow, Ofcom is nevertheless pursuing a ‘legal separation’ route, whereby Openreach would remain under BT ownership but have its own board. MF Communications has developed a range of packages designed to give businesses the flexibility to grow. We tailor our cost effective business broadband service to suit your business needs, regardless of its size.